Boxes make great gifts. 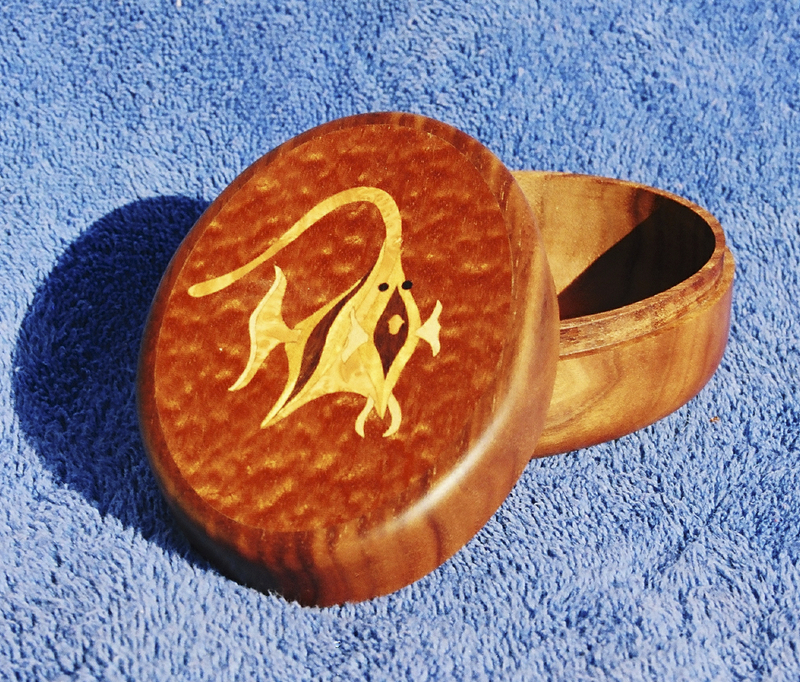 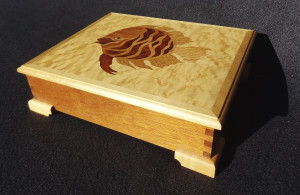 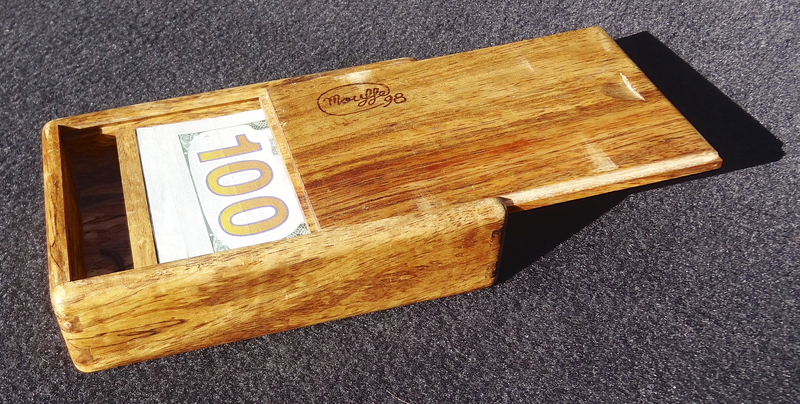 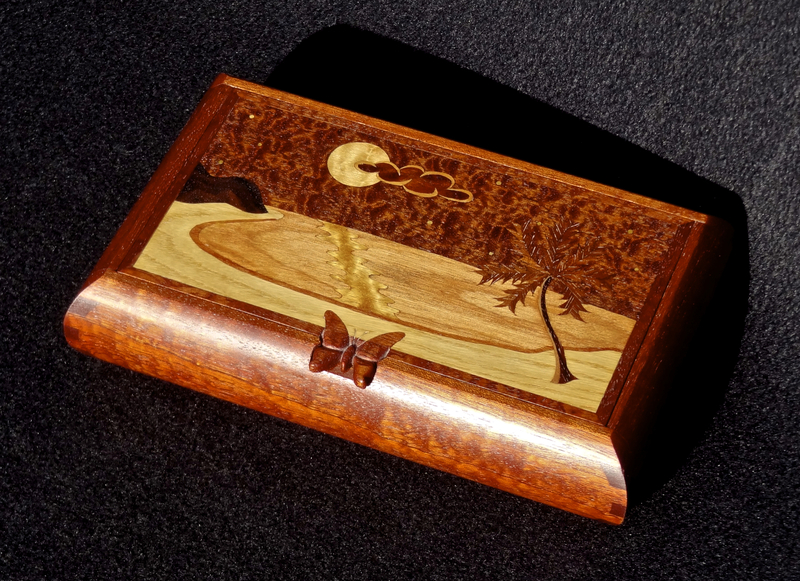 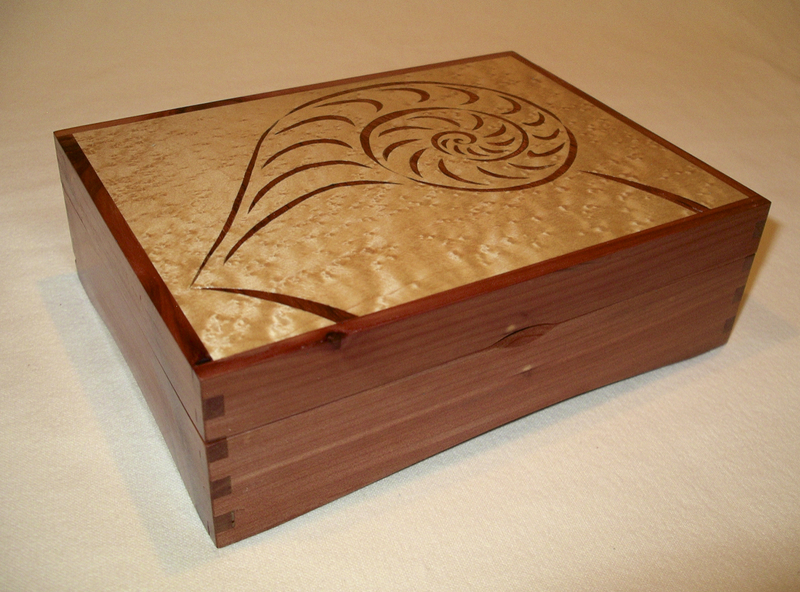 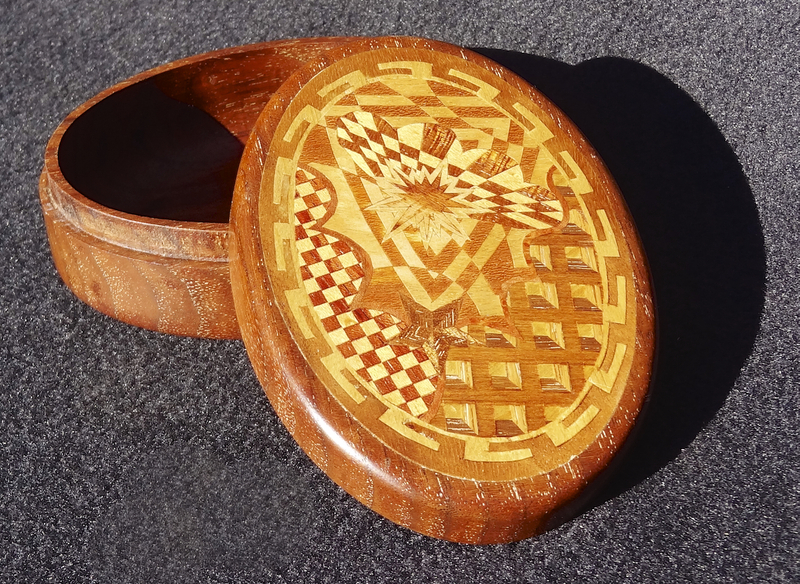 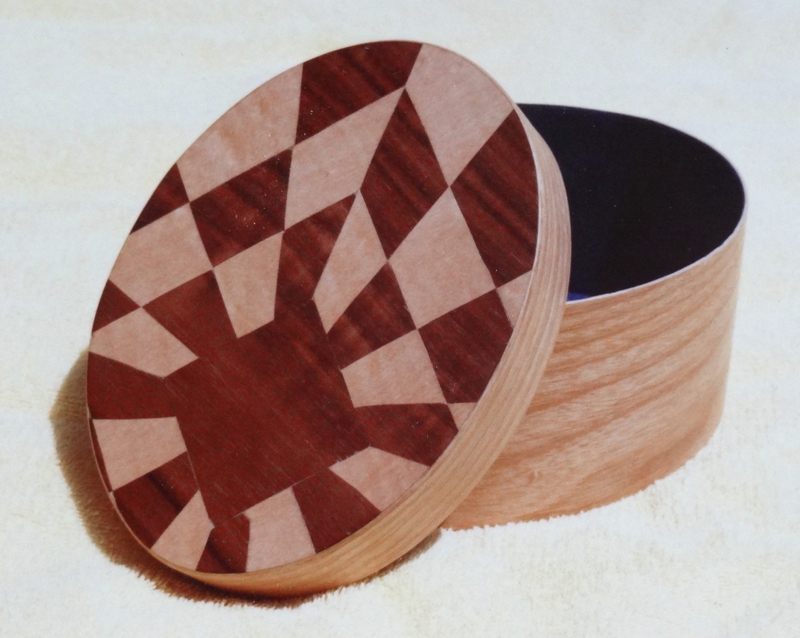 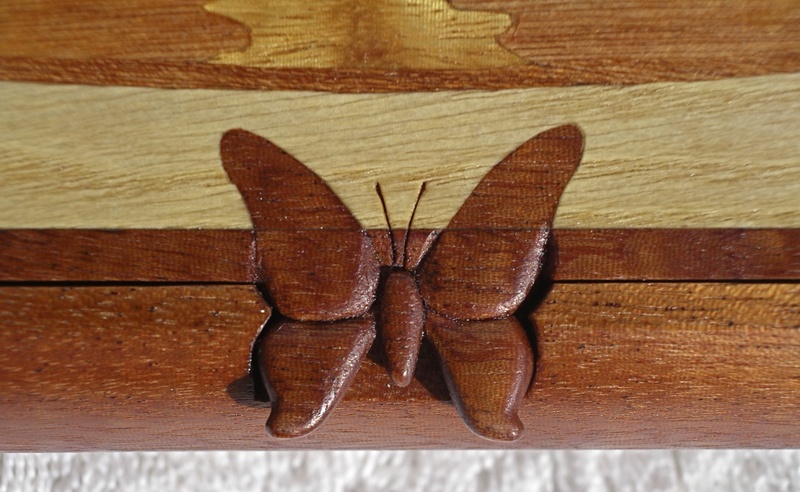 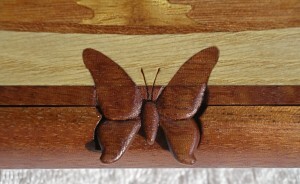 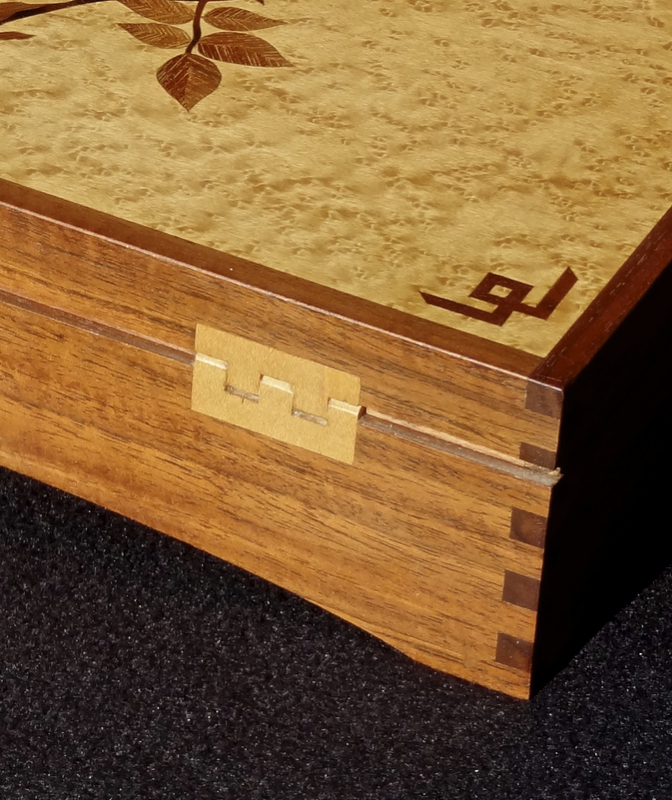 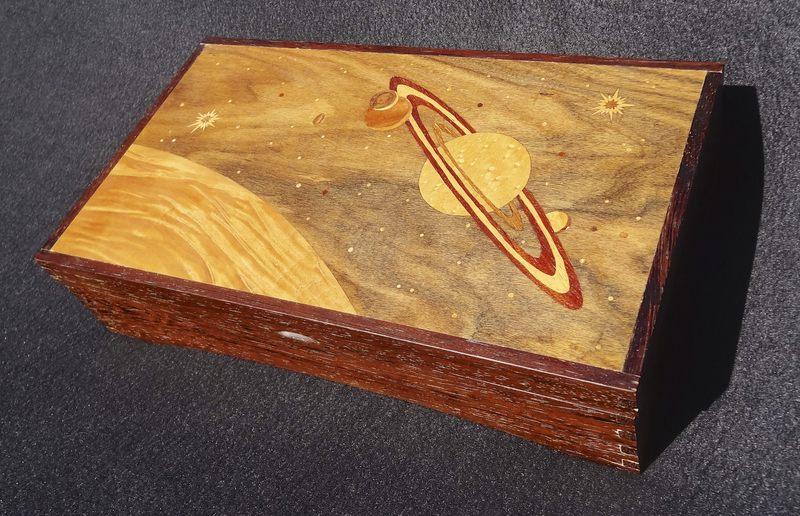 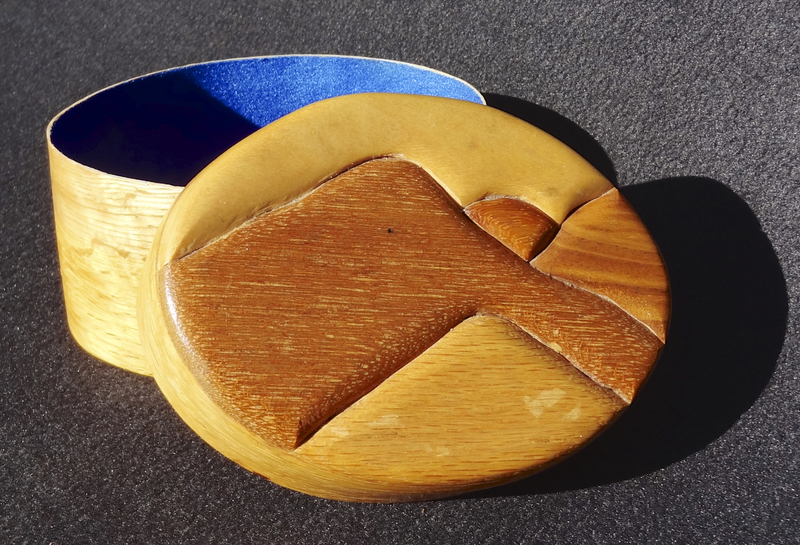 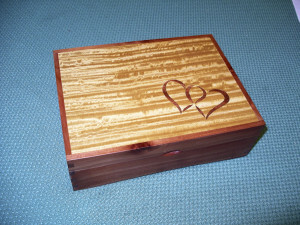 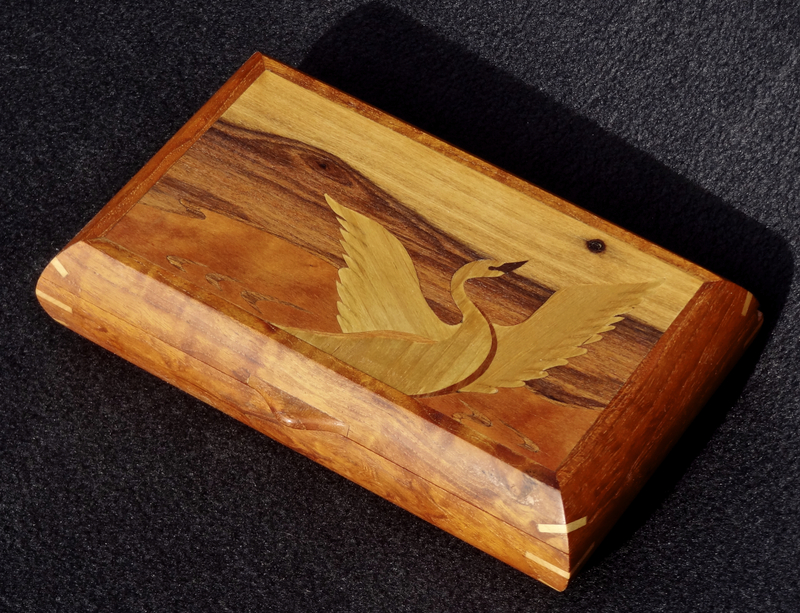 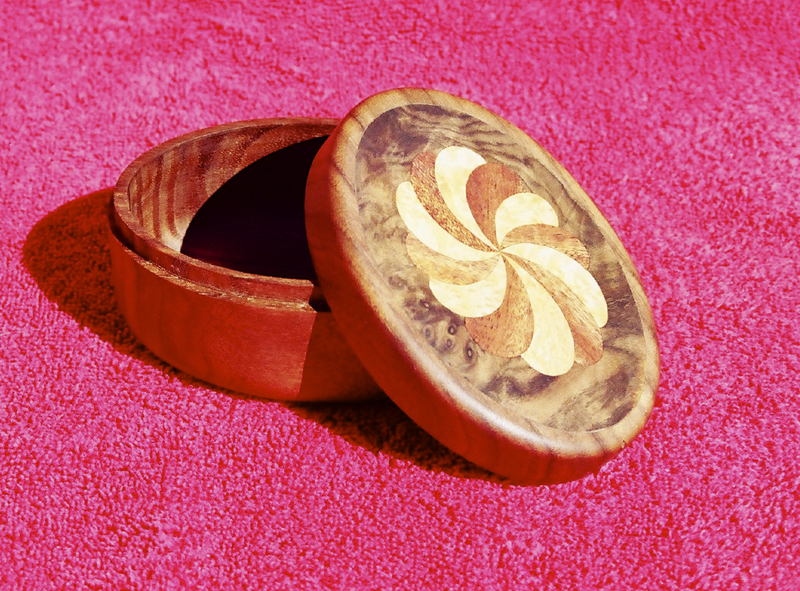 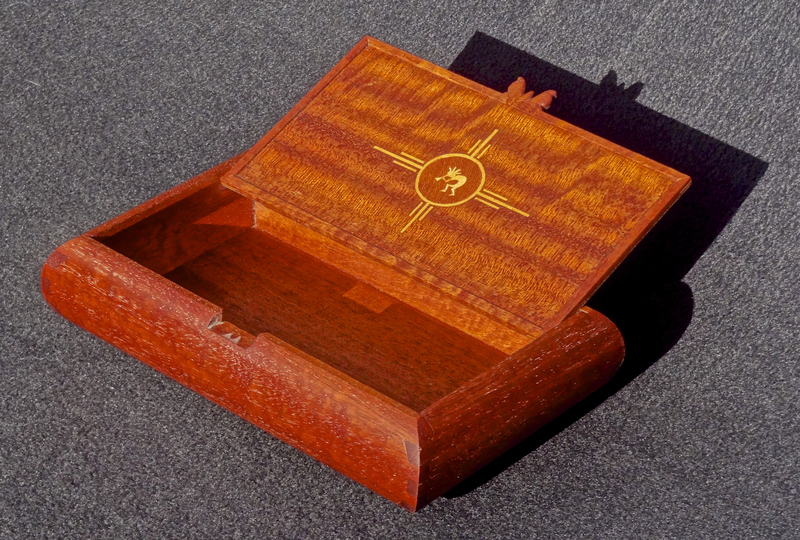 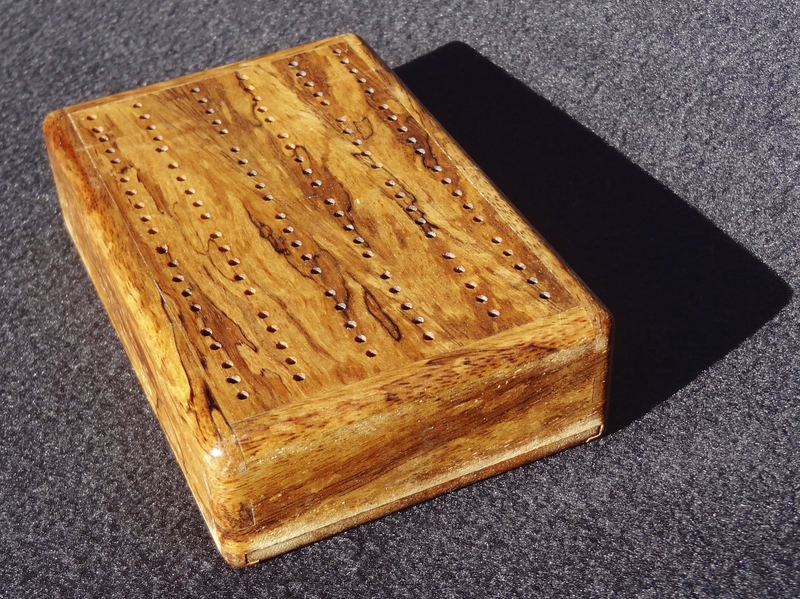 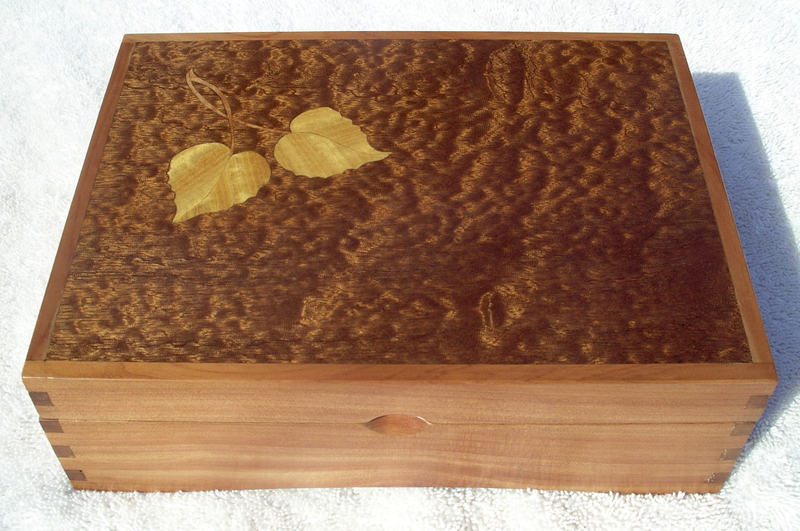 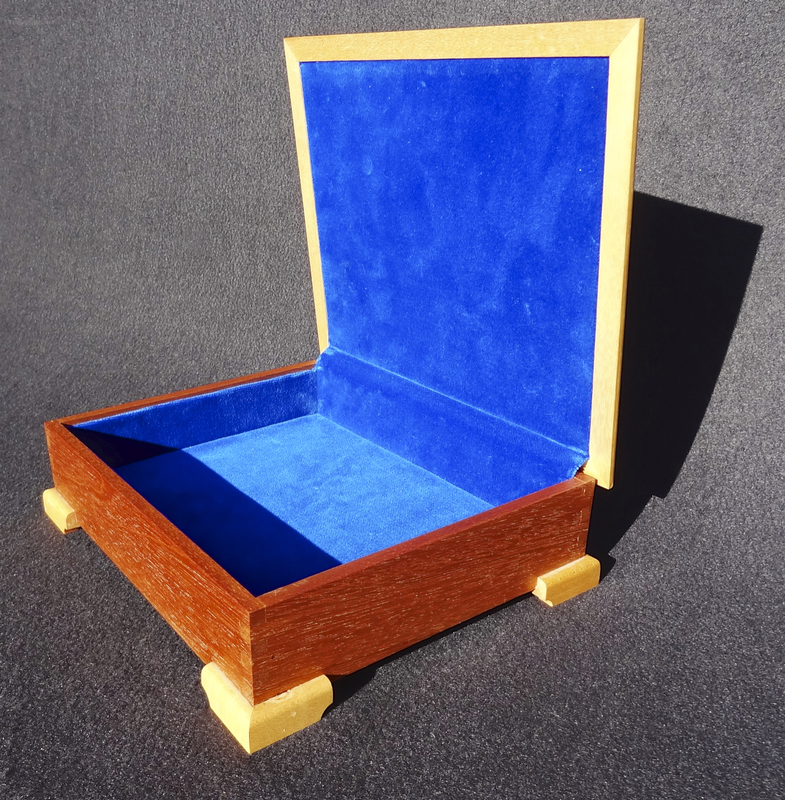 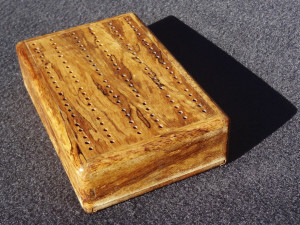 Most of mine incorporate marquetry in the lids to add more visual interest. 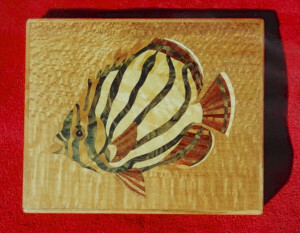 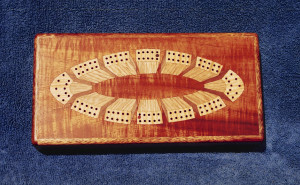 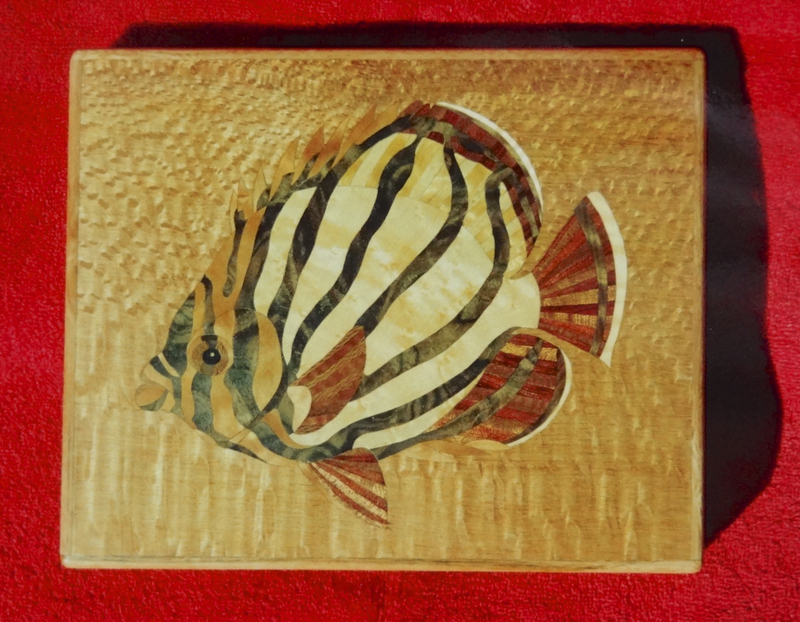 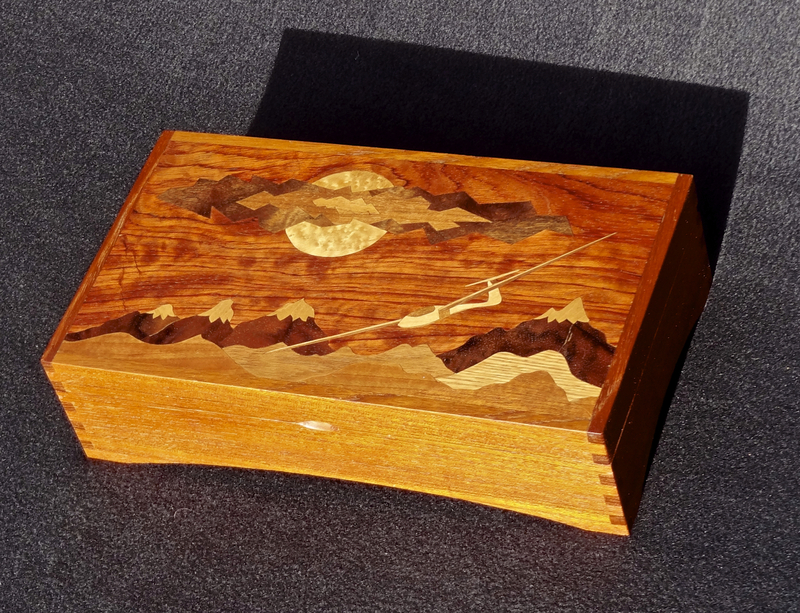 Marquetry is an ancient technique using thin veneers of differently colored wood to create designs or pictures. Most people use hand or powered scroll saws to do this. I cut the pieces out by hand using a sharp razor knife. 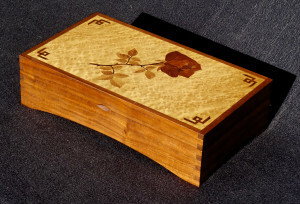 I have been teaching my wife Christina this technique, and she has had some fantastic results, as noted.